When a few months ago I read the first volume in this series – Shades of Milk and Honey – I was pleasantly surprised: different from any kind of fantasy I ever sampled, it was both entertaining and compelling, taking me to a background that was quite familiar through my former experiences with Jane Austen and Georgette Heyer, but at the same time completely new thanks to the element of glamour, or magic that creates detailed illusions. Part of what made Shades such a fascinating read was its lightness: I am using the term in the most complimentary meaning, of course, because the story itself needed no epic drama to keep me reading at a fast pace, so that I started this second installment with eager anticipation. But either the novelty had worn off somehow, or the pace was a bit slower than in the previous book, so that at first I had to struggle a little to overcome my sense of disappointment with Glamour in Glass: I wondered if the bliss of married life had not dulled the main characters, especially that of Jane, the protagonist – or if the author had lost that special sparkle that had kept my attention riveted. Luckily for me, after a somewhat shaky beginning, the novel found its rhythm and a surer footing, and I could sit back and enjoy my return to this peculiar version of the Regency era. On hindsight I think that what irked me most was Jane’s self-effacing deferral to her husband, the constant stress on her shortcomings and refusal to acknowledge her own abilities despite her husband’s attempts at convincing her of the contrary: yes, I understand that women back then were raised that way, that any sense of self-worth had to come second to that of the “man of the house” and that Ms. Kowal was being true to the period’s customs, but still it was as if the Jane I had know in the first book had somehow… faded in the interim. She was not an aggressive character to start with, granted, but she could tap a reservoir of inner strength and courage every time her loved ones were threatened in any way, therefore I longed to see that person again. Of course, I should have trusted the author’s plans: because it soon became clear that such insistence on glamour itself, and its huge importance in Jane’s life, would take a pivotal role. 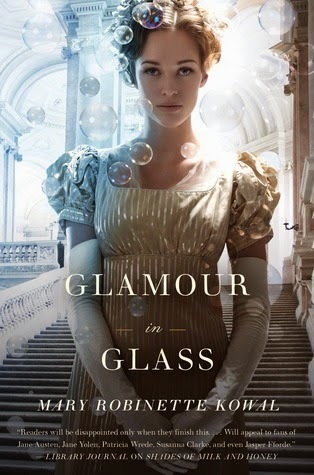 More importantly, Ms. Kowal wanted to show how the loss of it could affect Jane and her self-image: since she had been described from the very start as plain, any sense of worth she had came from her exceptional use of glamour – it was, after all, what had caught the brooding Vincent’s attention in the previous book and led to their falling in love and marrying. Having Jane lose what she perceived as her only attribute of note due to her pregnancy forced her to rely only on herself: the use of glamour can be harmful to a pregnant woman, so Jane had to deal with the loss of her only outstanding quality (according to her point of view) and the fears and sense of inadequacy that came with it. This, coupled with the more far-ranging events leading to Napoleon’s flight from the exile at Elba and his attempt at reclaiming power, forced Jane to face harrowing experiences on the strength of her wits and courage alone – and she showed the reader (and hopefully herself!) that her skills with glamour were not what made her what she was, and that she could be much more than just a magic wielder. It was a return to the determined Jane I used to know, and one whose resolve came back with a vengeance because of the huge stakes involved: I found a marked poignancy in her actions, not just because she was getting out of her comfort zone to defend all she held dear, but mostly because she did it out of determination born of love – not simple romantic love, but the feeling that comes with the need to protect those we care about. Moreover, I appreciated how this accomplishment was not reached without paying a steep price and the fact that I suspected early on what would happen, did not detract in any way from the dramatic developments and the pall of sadness settling on the happy ending. It felt more honest, and true, if it makes any sense. It will be more than interesting to see how Jane’s character will evolve in the next books and how her new-found awareness will come into play – hopefully things will never be the same for her. One thing is certain, however: Ms. Kowal is one author I will always watch out for. This short story is part of the two volume collection Dreamsongs by GRR Martin, a sort of writing journey illustrated through single stories: the first time I became aware of With Morning Comes Mistfall was by listening to its audio version read by Australian actress Claudia Black – it was an incredible experience, both for Ms. Black’s amazing performance and for my discovery of the lyrical side of George Martin’s writing. 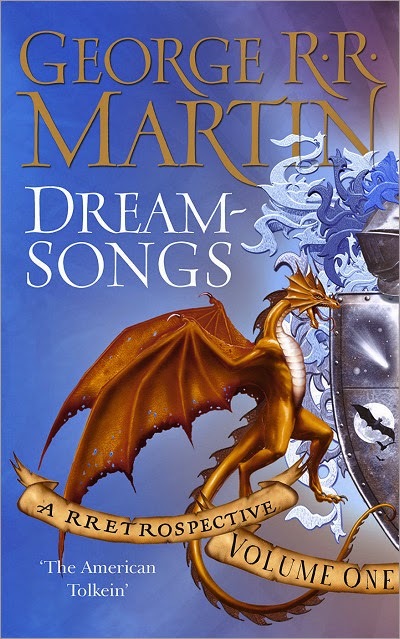 Until that moment I had only read his A Song of Ice and Fire novels: a new (for me) way to present the fantasy genre, gritty and uncompromising in its depiction of violence, cruelty and bloody political schemes. 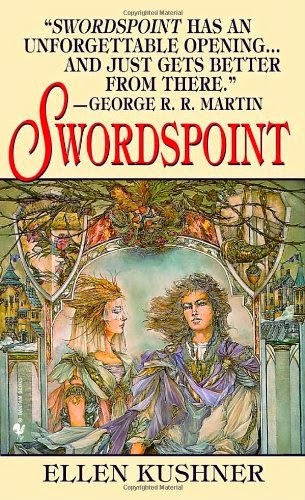 Even though the ASOIAF books do contain vivid descriptions, because Martin is indeed a masterful storyteller, I was not prepared for the emotional impact in his portrayal of Wraithworld: the author’s skill in bringing these images into sharp focus is seamlessly matched by Ms. Black’s rendition, enhancing the story’s a magical quality that is perfect for the theme being developed here. Wraithworld is a place where mists rule the lower depths by day and rise to cover most of the mountain peaks by night, and those mists are said to be a shield for the Wraiths – dangerous creatures, as unsubstantial as fog, that prey on unwary travelers. Much of the mystique of the planet comes from this mystery that also fuels a steady influx of tourists who lodge at Castle Cloud, an eagle’s nest over the tallest peak dominating the sea of mists below. Through the eyes of the narrator – a journalist who’s come to Wraithworld to cover the scientific expedition bent on disproving the Wraiths’ existence – we soon learn that what really matters is not that evidence but rather the beauty of the planet, something that catches the journalist by surprise as he starts exploring the place and lets himself be fascinated by its savage charms. 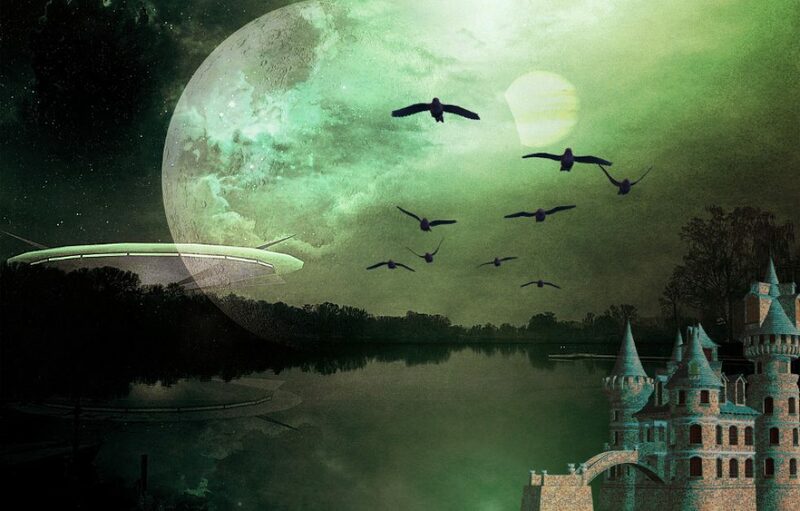 As I re-acquainted myself with the tale I saw how it fits the never-ending argument about speculative fiction: does it really matter whether a story is “true”, meaning based on real, everyday facts, as long as it’s entertaining and enriching? Over the years I’ve had to defend my reading preferences against this kind of argument: many people, some of them close friends, have commented with amused bafflement – or thinly veiled mockery – my penchant for reading science fiction and fantasy. Their claim being that it’s silly to lose oneself in stories about worlds, peoples and creatures that don’t exist. These skeptics’ attitude is embodied, in the story, by the scientist Dubowski: he comes to Wraithworld with a plethora of scientific instrumentation that should help him vanquish the figurative mists clouding tourists’ perceptions. Proving that the Wraiths don’t exist will – in Dubowski’s eyes – shine the light of truth on the planet, freeing it from what he perceives as foolish superstition. The scientist is so driven by his goal, so fixed in his attachment to reality, that he never sees the natural beauty of Wraithworld, never wastes his precious time in watching the mists rise at night from the depths of the forests, or being vanquished at dawn when the sun rises revealing the mountain peaks. I believe that as Dubowski willfully blinds himself to such beauty, so do those who are unable to accept the wider horizons of imagination, restricting their path to what’s known and tangible and closing their eyes to what could be only because they can’t touch, measure or weigh it. There is a deep vein of melancholy running through this story, the sense of something precious being ignored and abandoned by the wayside: to me it means that when we forgo our sense of wonder, our willingness to ask ourselves “what if…?”, we deprive ourselves of something vital that could only enrich us. In a way, it hardly matters if “magic” exists or not: what matters is that we believe in the possibility of it…. For me, the mark of an outstanding book is the fact that I keep thinking about it, story and characters alike, long after I’ve finished my reading: that is exactly what happened with N.K. Jemisin’s novel – it grabbed my attention right from the start and has yet to let me go as I’m writing this review. The core concept looks deceptively as a quest: young Yeine Darr, granddaughter of the Arameri ruler of the floating city of Sky, is summoned from the barbarian lands where she grew up to participate in the succession struggle for the throne, while trying to unravel the mystery of her mother’s recent death and of the reasons she gave up her own ruling rights in favor of life among the less privileged people of Darr. What makes this book different are the intertwining levels of intrigue and power struggle in which Yeine is enmeshed against her will, complicated by the presence of enslaved gods trapped in human form who have their own agenda. This latter is a concept I found fascinating: after the God War of the past, the winner Itempas allied himself with the humans in exchange for exclusive worship, therefore doing what all winners do – dictating how history was to be written. Yeine’s “quest” becomes therefore the solving of a complicated puzzle whose pieces she gathers slowly and painfully, while wrestling with the burdens of the past, her feelings for Nahadot – the enslaved god of darkness – and the constant threats to her life. The dimension of the story – despite the title that seems to hint at an epic scope – is therefore very human and focuses on the power play between opposing forces: light and darkness, love and hate, politics and loyalty. Yeine’s voice as narrator is an interesting one, because she embodies this duality very well: she is the outsider looking in, she is the child of two clashing cultures and she struggles between the duty to her people and the new responsibilities heaped on her as one of Sky’s heir designates, not to mention her desire to find her mother’s murderer and avenge her death. Moreover, this duality is reinforced by the choice of framing her from the very start as a potentially unreliable narrator: I am not as I once was – this is how the novel begins, casting a doubt on what Yeine recounts of the past. The doubt is further strengthened when she admits her memories might be faulty, or incomplete; or when she appears to hold a conversation with a different part of her conscience – in what resembles a split-personality syndrome – that urges her to remember correctly, or to dredge up forgotten details. It is this mystery within the mystery that generates a compelling story, also supported by a writing style that is swift and fresh and brings Yeine’s journey along at a sustained pace, while at the same time managing to touch on many topics that must be dear to the author’s heart, such as racism, cultural integration and gender issues. To Ms. Jemisin’s credit I would like to stress how this is done with a subtle, non-pedantic hand, always tackling the subject in a tangential way but still making room for the reader’s deeper consideration. Such subtlety is also evident in the strong vein of sensuality permeating Yeine’s character, one that comes to the fore in her attraction to Nahadot: those scenes are suggestive and intense but never stray into more graphic descriptions, giving to the relationship an almost dreamy quality that never distracts you from the main story, nor becomes its sole focus despite its powerful roots. Nahadot himself is an outstanding character: his very nature, his shifts in appearance and consistency, the strong aura of danger that surrounds him and is barely tempered by glimpses of vulnerability and honest tenderness toward Yeine, all contribute to carve him into a commanding presence and a tragic figure at the same time. In him Jemisin embodies the drama of the enslaved gods and gives them a voice that is more human because of their godlike nature and not in spite of it. This conflict between human and divine drives and needs finds its resolution in a powerful, highly gripping finale that ties the various narrative threads in a satisfying way while leaving the door open for the welcome continuation that must be the focus of the next two books. 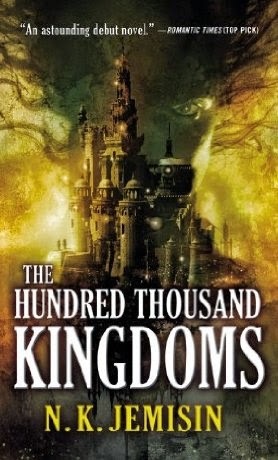 I found The Hundred Thousand Kingdoms to be a very original story, one that went beyond any expectations I might have had before reading it. What makes it even more extraordinary is that it’s a debut novel: if N.K. Jemisin’s first published work is this strong, I have no doubt her next books will be even better – and that I’m firmly aboard for the ride. I’ve been curious about this book for some time – understandably so, considering the huge media buzz tied to the recently produced movie – but I’ve kept procrastinating because I was aware I could not avoid the analogy with The Hunger Games. It’s next to impossible not to compare Ms. Collins’ work with other YA dystopian books, if nothing else because of the broad success enjoyed by her trilogy and the huge wave of genre books that keep appearing on the wake of that success – the proverbial elephant (or rather mockingjay?) in the room is there, and it must be dealt with. There might be some common traits between the two series but Divergent walks on a very different path: the world of Hunger Games is harsher, more violent, and Katniss’ experiences, prior to the beginning of the story, include parental loss, hunger and despair, forcing her to a psychological growth that goes beyond her years and makes her a living, breathing, believable person. The dystopian landscape painted in H.G., a tyranny enforced through fear, intimidation and cruelty springs in marked relief from the book pages, with a stark quality that was deftly rendered in the movies. That didn’t happen for me with Ms. Roth’s future Earth, and its “government” divided into factions that are meant to provide a balanced rule, because it’s evident from the start that the balance is not there, and maybe never has been – which made me wonder how this society managed to last as long as it did. I experienced the same lack of belief for Tris, Divergent‘s protagonist: there are too many contradictions in her character, too many unrealistic discordances – even taking into account her young age and the somewhat sheltered life she’s led until the readers meet her. For starters, I think Ms. Roth’s trilogy is more markedly aimed toward a YA audience than its “competitor” (and this shows clearly both in world-building and dialogues), and therefore both the world and the characters are depicted in broader, less precise strokes – I’d say they are more tropes than people, if this did not sound too harsh even to my own dissatisfied ears. And then there is Tris herself: her life has been somewhat easy, any form of privation and/or violence is something that she knows exists, but has never experienced directly. So it’s not a great surprise if she sounds so naive or… well, too teenager-ish. She is a teenager, with all the drives and contradictions that her age entails. And yet there is still something that does not feel right. Something that kept me from becoming invested in her as a character and a person. After a while what I initially perceived as naiveté was revealed as self-centeredness, if not downright selfishness – which sounds quite bad when applied to someone raised by the Abnegation faction as she is. 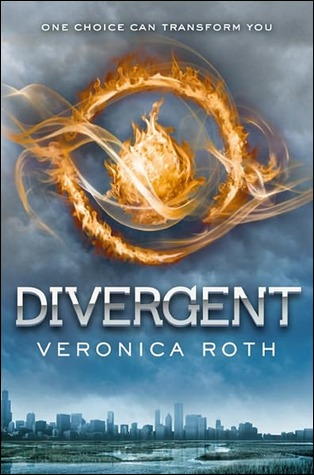 Tris did not earn my sympathy as a reader, because she looks quite focused on her own needs and drives: one might say that’s typical of a sixteen year old, but once she makes the choice to abandon her faction – and her family – for Dauntless, her longing for her parents and brother appears more perfunctory than real. The Dauntless initiation program is certainly quite absorbing, both physically and mentally, but I expected more from her than the casual wistful thought – and certainly not the thinly veiled contempt she feels, on the first night of her new life, when she hears a bunkmate’s muffled, and quite understandable, sobs. All Tris cares about, all she can think of, is to belong to the Dauntless faction, to carve her niche in it, even if this means changing into something she’s not sure she can embrace: after all, we’re made aware from the start that such a choice is made not out of deep convictions, but because ultimately the Dauntless look “cool”, as opposed to the drab life of Tris’ own faction, or the others’ as well. It’s never stated openly, but it’s there as a subliminal reminder every time Tris observes the other factions and… finds them wanting. Matters become worse when, at some point, it’s hinted she possesses some special qualities and will certainly be accepted into her new faction with all honors – she entertains the thought that she might be leaving her course mates behind (because she’s better! because she’s special! ), and though that fleetingly saddens her, she accepts it as a fact of life. I don’t need any of them, not if they’re going to react this way when I do well. (…) I don’t want to lose them. But I feel like I have already. Sadly, it does not end here, because of another mandatory requirement of the genre: the love interest for a darkly brooding, mysterious boy who is Tris’ instructor and is also – oh-so-unsurprisingly – attractive in a way that makes Tris’ knees turn to water in no time at all. This sounded the death knell for any remaining possibility I had of enjoying this book: added to the other predictable tropes plaguing the book and Tris’ character – who does trespass too much into the Mary Sue cliché for my comfort – it added trite obviousness to an already uninspiring mix. It was too much and I had to stop, accepting failure – not with a heavy heart though, but with something approaching relief. Two chapters. That’s how much it took me to fall in love with this book and its main character, Temeraire. A dragon. A talking dragon. My previous experience with these creatures was limited to Smaug from The Hobbit and to GRR Martin’s dragons, the latter being only little more than background scenery in the vaster tapestry of his huge saga – at least for now. In short, my labels for dragons were dangerous, devious, killers – and so forth. Temeraire changed all that, much as he changes his human companion’s life in the book. In this alternate-history novel, set in the time of the Napoleonic wars, Captain William Laurence of the Royal Navy finds a dragon egg on a captured enemy ship, and from it emerges a beautiful black dragon, who he promptly names Temeraire. The handling of dragons is carried out by the Aerial Corps, a special division of His Majesty’s forces, and these men – and women! – live apart from the rest of the military, because of the singular quality and requirements of their charges, and also because of some “taint” attached to the duty. So it happens that Laurence abandons a promising Navy career to become something of an outcast in the eyes of his comrades and – worse – of his own family. Hopefully in the next books this will be explained in depth, for I’m very curious to see where the general attitude comes from: in this alternate world there is no glamour attached to aviators, they are looked at with suspicion at best, if not with open distaste. Yet we learn that they are trained from early childhood because they have to learn while their mind and bodies are still pliable, and that their own families send them to “dragon school”. I’m curious to learn more about the general populace’s distorted perception and the reasons for it, even though some inklings are already presented in the course of the book – as the less restrained customs observed by the Aerial Corps in the matter of personal relationships, for example. Things are even more difficult for Laurence because he comes to this life in his adult years, and he has to face his new comrades’ doubts about his capabilities, while battling with his standoffish character at the same time. This two-sided isolation brings Laurence and Temeraire quite close in a very short time: Ms. Novik describes the process with an easy believability that’s a joy to observe. Laurence is somewhat too stiff and formal, both as a personal inclination and as a duty requirement, so his slow opening toward Temeraire’s almost childish innocence and curiosity engenders the joy of mutual discovery and the reader’s pleasure in seeing this man lose his severity and become a more likable character. Here lies one of the winning choices of the book: a common trope of the genre would have had Laurence’s character more inclined toward roguishness and careless bravado, while his steadfast adherence to protocol and rules – one that makes him a bit boring and lackluster at first – helps put a higher shine on his later transformation, and makes the transition and his friendship with Temeraire much more real and satisfying for the readers. 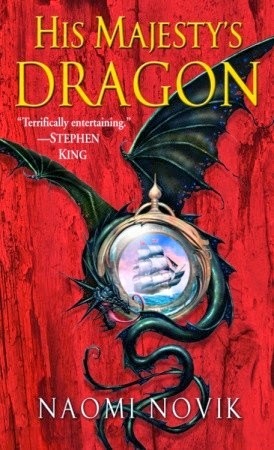 Temeraire remains the undisputed protagonist though: even though the book is written through Laurence’s point of view, the world is often observed – and commented – from the dragon’s perspective, from his interaction with the humans and the other dragons serving with His Majesty’s forces. Temeraire is adorable indeed – not in a “cute” way, but because he’s very articulate and very innocent at the same time; innocent and yet full of wisdom: Ms. Novik managed to walk in a seeming effortless way along this thin dividing line, and to offer her readers a believable, lovable creature. And this happens for the other dragons as well: their devotion to their human companions, or their suffering in case of criminal neglect – as is the case in one notable instance in the book – helps to see them in a very different light, as thinking and feeling creatures who deserve our respect. And affection. If I wanted to find any fault with this book I might complain of a too-quick ending: the huge build-up leading to it made me feel that the resolution was a bit too abrupt. And then there’s Laurence’s form of address to Temeraire: when he says “my dear” it sounds… off-key – I can’t exactly say why it feels wrong, but every time it happens (and there are a few instances of it) it distracts me. I believe that “my friend” would have sounded better and more sincere, more in tune with the man’s personality, and would still have fully expressed the bond between man and dragon. Still, it’s the kind of minor nitpick that does not detract from the pleasure of a highly engrossing book. I became aware of this book through Dragons, Heroes and Wizards‘ review of it and its companion books in Ellen Kushner’s trilogy: the review intrigued me enough to try it out as soon as I could, since it promised to be a very different kind of fantasy than I’m used to. The book is quite well written, the style precise and exquisitely crafted like one of the porcelain chocolate cups used by the nobility depicted in the story. The descriptions of the two sides of society – the nobles on the Hill and the common folk in the dilapidated town of Riverside – are vivid and bring this world into sharp, three-dimensional life with almost cinematic quality. Some of the rules are very intriguing, especially those concerning duels and the whole swordsmen’s code – they speak of detailed, careful and loving world-building. Much as this book is an engaging exercise in style, it failed to involve me on an emotional level: the characters, though well drawn, did not reach out and “speak” to me – as if the highly stylized rules of behavior governing this world prevented them from connecting with me, the reader. I saw the actors on the stage, so to speak, and they were beautifully dressed and doing an admirable job of portraying their characters, but something was missing. On a wider scale, the other characters peopling this book feel just as sketched, as if filling the need for the basic figures in a tale: the young, restless heir of a good family; the scheming, evil noble (complete with black eye-patch); the clever duchess working her webs like a spider; and so on. Not a single one of them gave off a sparkle of real life to me, and that detracted heavily from the beauty of the setting. A splendid exercise in style, as I said before, but for me a book must be something more – it has to tell me a story I can lose myself in, and here I was – sadly – not lost at all.